Hoop Kid brand supports positive youth development using basketball as a vehicle to teach life skills and inspire personal growth. Our mission is to help build strong well-rounded kids who will become leaders on and off the court. 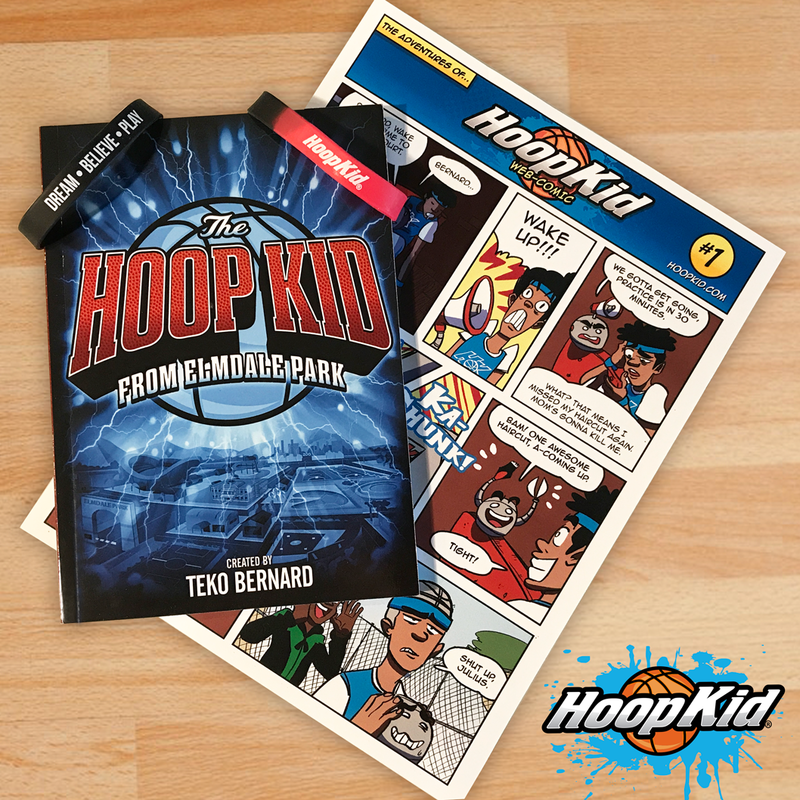 Hoop Kid books are created to help kids feel more confident and excited about reading and playing games like basketball for fun and to stay mentally, physically, and socially active. The story revolves around a 12-year-old basketball fan named Bernard Jones and his high-tech robotic training-basketball, G5. Who, while visiting his grandparents one summer takes on the responsibility of saving the community's legendary park from being turned into a landfill. He forms an unlikely team with some wacky yet talented local kids, overcomes a series of unfair obstacles, and even risks the danger of being intentionally injured to take on Elmdale's cross-town highly-favored rival Oakdale. It's a fantastic underdog story—with heart, humor, and heroics. Readers will learn the importance of courage, perseverance, teamwork, sportsmanship, and community. "Thank you for sharing the book – The Hoop Kid from Elmdale Park! I had a chance to read it with my 10 year old and really liked the messages and feel like they would resonate with our youth."